www.tudelft.nl/ceg/deepimage and www.tudelft.nl/ceg/science4steer for more details. All 15 PhD positions within DeepNL at TU Delft can be found at www.tudelft.nl/ceg/deepnl. Application deadline 31st of January 2019. April 2018: EPOS-NL Large Infrastructure Grant for National Roadmap funded to our department! Click here for news item (in Dutch). April 2018: New paper online in Geophysical Research Letters. Utrecht University and TU Delft collaboration on paleomagnetism and micro CT scanning. Click here for link to this paper. January 2018: Anne Pluymakers started her VENI-postdoc at TU Delft. December 2017: PhD student Stephan de Hoop started his work with us at TU Delft. Welcome! New paper on effect of anisotropy on hydraulic fractures published in Rock Mechanics and Rock Engineering. Click here for link to this open access paper. We just published a short movie about the steps we take to perform fracture experiments in our lab at TU Delft. Have a look! PhD student Lisanne Douma's poster belongs to the top 3 at the Research Day of the Geoscience and Engineering and Geoscience and Remote Sensing Departments! TU Delft launches new Opencourseware about induced seismicity in Groningen from engineering, architecture & management perspectives: http://ocw.tudelft.nl/seismic-introduction. New paper online: Houben et al., Microstructures of Early Jurassic (Toarcian) shales of Northern Europe.International Journal of Coal Geology. Click here for link to the paper. New paper now in press: Barnhoorn et al. Grain size-sensitive viscoelastic relaxation and seismic properties of polycrystalline MgO. Journal of Geophycisal Research Solid Earth. Click here for link to the paper. May and June 2016: Post-doc Richard Bakker and PhD student Quinten Boersma started their work with us at TU Delft. Welcome! New paper online: Shojai Kaveh et al. Wettability evaluation of silty shale caprocks for CO2 storage. International Journal of Greenhouse Gas Control 49(2016), 425–435. Click here for link to the paper. It evaluates the interfacial interactions of natural shale with CO2 at realistic reservoir conditions. There is a low possibiliy of capillary breakthrough of CO2 in sily shale caprocks. 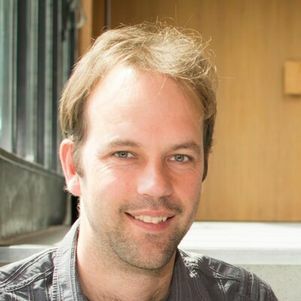 Stephan de Hoop – PhD on mechanics, modelling and fractures in carbonate reservoir rocks. L.A.N.R Douma, M.E. Houben, M.I.W. Primarini, A. Barnhoorn, 2017. The validity of generic trends on multiple scales in rock-physical and rock-mechanical properties of the Whitby Mudstone, United Kingdom. Marine and Petroleum Geology 84, 135–147. M.E. Houben, N.J. Hardebol, A. Barnhoorn, Q.D. Boermsa, A. Carone, Y. Liu, D.A.M. de Winter, C.J. Peach, M.R. Drury, 2017. Fluid flow from matrix to fractures in Early Jurassic shales. International Journal of Coal Geology 175, 26-39. A. Barnhoorn, I. Jackson, J. D. Fitz Gerald, A. Kishimoto, and K. Itatani, 2016. Grain size-sensitive viscoelastic relaxation and seismic properties of polycrystalline MgO. Journal of Geophysical Research 121, doi:10.1002/2016JB013126. N. Shojai Kaveh, A. Barnhoorn, K.-H. Wolf, 2016. Wettability evaluation of silty shale caprocks for CO2 storage. International Journal of Greenhouse Gas Control 49 (2016) 425–435. Maarten Voorn, Ulrike Exner, Auke Barnhoorn, Patrick Baud, Thierry Reuschle 2015. Porosity, permeability and 3D fracture network characterisation of dolomite reservoir rock samples. Journal of Petroleum Science and Engineering 127, 270-285. Wouter van der Wal, Auke Barnhoorn, Paolo Stocchi, Sofie Gradmann, Patrick Wu, Martyn Drury and Bert Vermeersen 2013. Glacial isostatic adjustment model with composite 3-D Earth rheology for Fennoscandia. Geophys. J. Int. (2013) doi: 10.1093/gji/ggt099. Côme Lefebvre, Auke Barnhoorn, Douwe J.J. van Hinsbergen, Nuretdin Kaymakci, Reinoud L.M. Vissers, 2012. Reply to Genç and Yürür's comments on: "Late Cretaceous extensional denudation along a marble detachment fault zone in the Kırsehir massif near Kaman, central Turkey. Journal of Structural Geology 36 (2012) 90-93. Côme Lefebvre, Auke Barnhoorn, Douwe J.J. van Hinsbergen, Nuretdin Kaymakci, Reinoud L.M. Vissers, 2011. Late Cretaceous extensional denudation along a marble detachment fault zone in the Kırsehir massif near Kaman, central Turkey. Journal of Structural Geology 33 (2011) 1220-1236. Auke Barnhoorn, Wouter van der Wal, Martyn R. Drury, 2011 in press. Upper mantle viscosity and lithospheric thickness under Iceland. Journal of Geodynamics 52 (2011) 260– 270 . Farla, R.J.M., Kokkonen, H., Fitz Gerald, J.D., Barnhoorn, A., Faul, U.H., Jackson, I., 2011. Dislocation recovery in fine-grained polycrystalline olivine. Physics and Chemistry of Minerals 38, 363–377. Barnhoorn, A., Cox, S.F., Robinson, D.J., Senden, T., 2010. Stress- and fluid-driven failure during fracture array growth: implications for coupled deformation and fluid flow in the crust. Geology 38, 779-782. Barnhoorn, A., Drury, M.R., van Roermund, H.L.M., 2010. Evidence for low viscosity garnet-rich layers in the upper mantle. Earth and Planetary Science Letters 289, 54-67. Kono, Y., Irifune, T., Higo, Y., Inoue, T., Barnhoorn, A., 2010. P-V-T relation of MgO derived by simultaneous elastic wave velocity and in situ X-ray measurements: A new pressure scale for the mantle transition region. Physics of the Earth and Planetary Interiors 183, 196-211. Jackson, I., Barnhoorn, A., Aizawa, Y., Saint, C. (2009). Improved experimental procedures for the study of high-temperature viscoelastic relaxation. Physics of the Earth and Planetary Interiors 172, 104-115. Rubatto, D., Müntener, O., Barnhoorn, A., Gregory, C. (2008). Dissolution-reprecipitation of zircon at low-temperature, high-pressure conditions (Lanzo Massif, Italy), American Mineralogist 93, 1519–1529. Aizawa. Y., Barnhoorn, A., Faul, U.H., Fitz Gerald, J.D., Jackson, I., Kovács, I. (2008). Seismic properties of Anita Bay dunite: An exploratory study of the influence of water. Journal of Petrology 49, 841-855. Barnhoorn, A., Jackson, I., Fitz Gerald, J.D., Aizawa, Y. (2007). Suppression of elastically-accommodated grain boundary sliding in high-purity MgO. Journal of the European Ceramic Society 27, 4697–4703. Oesterling, N., Heilbronner, R., Stünitz, H., Barnhoorn, A., Molli, G. (2007). Strain dependent variations of microstructure and texture in naturally deformed Carrara marble. Journal of Structural Geology 29, 681-696. Barnhoorn, A., Bystricky, M., Kunze, K., Burlini L., Burg, J.-P. (2005). Strain localisation in bimineralic rocks: Experimental deformation of synthetic calcite-anhydrite aggregates. Earth and Planetary Letters 240, 748–763. Barnhoorn, A., Bystricky, M., Burlini, L., Kunze, K. (2005). Post-deformational annealing of calcite rocks. Tectonophysics 403: 167-191. Barnhoorn, A., Bystricky, M., Burlini, L., Kunze, K. (2004). The role of recrystallisation on the deformation behaviour of calcite rocks: large strain torsion experiments on Carrara marble. Journal of Structural Geology 26, 885-903. Pennock, G.M., Barnhoorn, A., Bons, A.J., Drury, M.R. (2001). EBSD of zeolites. Journal of Materials Science Letters 20, 1099-1101. Van Roermund, H.L.M., Drury, M.R., Barnhoorn, A., De Ronde, A.A. (2001). Relict majoritic garnet microstructures from ultra-deep orogenic peridotites in western Norway. Journal of Petrology 42, 117-130. Van Roermund H.L.M., Drury, M.R., Barnhoorn. A., De Ronde, A.A. (2000). Non-silicate inclusions in garnet from an ultra-deep orogenic peridotite. Geological Journal 35, 209-229. Van Roermund, H.L.M., Drury, M.R., Barnhoorn, A., De Ronde, A.A. (2000). Super-silicic garnet microstructures from an orogenic garnet peridotite, evidence for an ultra-deep (> 6 GPa) origin. Journal of Metamorphic Geology 18, 135-147.